Golf is a sport that is slowly catching on in the fantasy sports world. Mostly dominated by the big four sports, fantasy golf pools have always been hard to find - especially for real money. The fantasy golf leagues that you do find such as on Yahoo or the Golf Channel are played throughout the whole year (from January until October) for a grand prize that is fought over by over 100,000 fantasy players. Now there is a new way to play called daily or weekly fantasy golf. 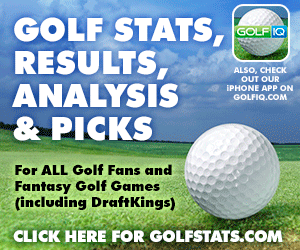 Essentially, Daily Fantasy Golf is played over one weekend or for just one tournament each and every week. You draft a lineups of golfers (usually 6 but it varies) and they score points based on how they play during the event. Prizes are paid out to the winners when the tournament is finished. This is unlike season long fantasy golf where your points are cumulated over the year at every PGA tour event and a winner is declared after the 10 month season. 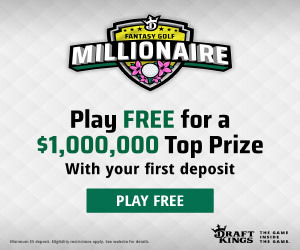 We have partnered with both of them and they have offered prizes as big as $1 Million for 1st place, so you can see why so many people have switched to weekly fantasy golf instead of season long. You can play in all tournaments or just choose ones you are interested in like the Majors.